Allergies and CarpetA common misperception is that people with asthma and allergies should avoid having carpet in their home. A common misperception is that people with asthma and allergies should avoid having carpet in their home. Studies have shown that the opposite is true. Properly cleaned carpet helps reduce allergy symptoms and is actually the best flooring choice for those dealing with asthma and allergies. Listed below are 4 more studies on carpet and allergies. Advantages of Tile Any realtor will tell you that tile flooring significantly increases a home’s resale value. 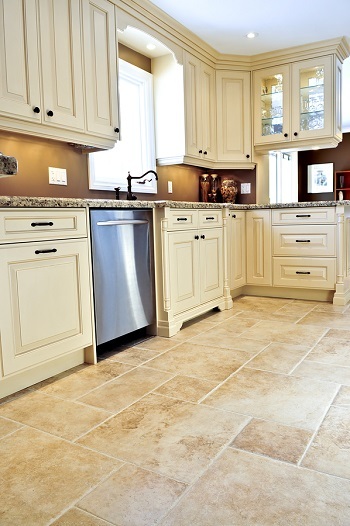 Any realtor will tell you that tile flooring significantly increases a home’s resale value. 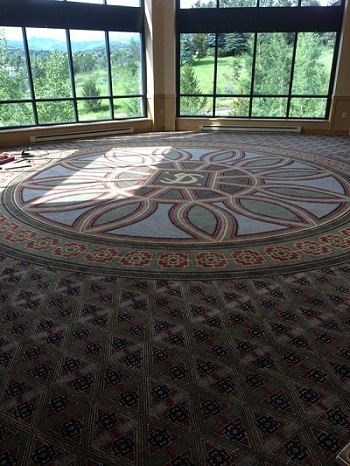 The beauty of tile flooring lasts an extremely long time if it is properly maintained. Tile flooring is ageless especially when earth tones are used. Radiant floor heating works especially well with tile. It is one of the best surfaces to install over this type of heating setup. If your tiles and the grout are properly sealed then it will withstand water extremely well. For this reason it is one of the best options for kitchens, bathrooms and mudrooms. Tile floors are perfect for those who suffer from allergies. They are also great if you own pets as they can be cleaned easily and the hard surface can withstand your pets nails. There are so many types and styles of tile to choose from that you can easily find one that meets your budget and fits your style.